The great sage Hillel once famously taught all of Torah while standing on one foot. He kept it brief, sharing his answer under three sentences. Flash forward nearly 2000 years, and you will find people around the world communicating in a similar way. No, we’re not talking with each other while standing on one foot (at least not most of us), but we do have unique ways to communicate. Words are often replaced with images. 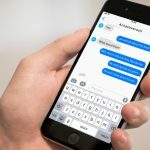 In just about any messaging app, you’ll find hundreds of smileys, icons, stickers, animated GIFs, and sparkling phrases to send to your BFFs. Look further and you can download keyboard packs that are specific to a theme like your favorite movie, holiday, or sports team. Berenice Famili saw a great opportunity to create a keyboard pack of her own. And thus she created Shalomoji, an app with over 100 Jewish-themed emoji, stickers, phrases, and GIFs. 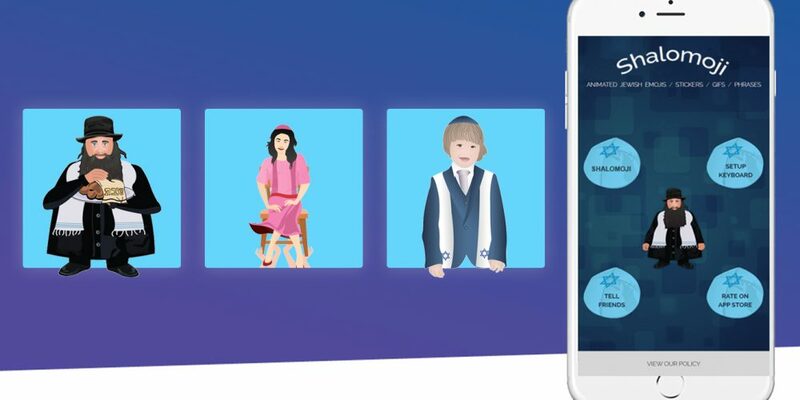 We wanted to know how Shalomoji could revolutionize the digital Jewish world, so we asked Berenice a few questions. Popcholent: What inspired you to create Shalomoji? Berenice Famili: Well, I have to confess, I have an arguably unhealthy obsession with emojis. Ever since Kimoji launched, I found myself on an emoji shopping spree snagging a bunch of celeb emojis like KevMoji, MOJI Talk by DJ Khaled and DurantMoji. I then quickly transitioned to purchasing a bunch of dog related emojis like MyLabmoji, Goldenmoji, and Sausagemoji (the dog, not the food product of course). I absolutely loved the humor the emojis brought to my text messages and the exciting reactions I would receive from friends and family members. A little less than a year ago, on a Friday afternoon, I had an epiphany. I wanted to send a Shabbat Shalom text in a family group text I was a part of, but I didn’t want to just send an ordinary Shabbat Shalom text in boring plain black font. I envisioned an animated Hasidic Rabbi saying it with a flashing air bubble that read “Shabbat Shalom.” That was the day Rabbi Shlomo was born in my head and would later come to life in the Shalomoji app. My goal from that day forward was to create a Jewish emoji app that would keep the Jewish spirit alive in a celebratory, fun, and comical way via the digital world. 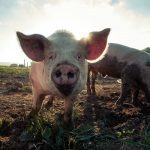 How long did it take to develop the app, and what was involved in doing so? Before jumping into having Shalomoji created, I did a ton of research on appreneurship. I read Chad Mureta’s App Empire book, listened to the BlueCloud Podcast and the Mobile Growth Hacking with Steve P. Young Podcast. Later on, the tools that truly gave me the courage and wisdom to pull through was and still continues to be the BlueCloud Solution’s Emoji Arbitrage course and the Bluecloud Select Facebook group. The concept behind all the Shalomoji emojis were all descriptively written out by me and organized based on the following categories: GIFS (including animated Jewish emojis), Stickers (including synagogue related items, Jewish symbols, biblical images, Ashkenazi and Sephardic dishes), Jewish Holidays (including all the major Jewish Holidays), Phrases (including typical Jewish phrases like Mazel Tov or Oy Vey) and Rabbi Shlomo holding each letter of the Hebrew Alphabet. I had a binder filled with every single detail in regards to the organization and flow of the app. I detailed how I wanted the keyboard and home screen designed by cutting and pasting sample images and using my 3rd grade drawing skills to show where each button would lead to each screen within the app. I read app reviews of a plethora of emoji apps and took notes on the positive and negative reviews. I noticed that a consistent complaint of emoji apps was the sizing of the emojis. Hence, I was determined to incorporate a slider scale within my emoji app which enables users to customize the size of all emojis (in Small, Medium, and Large) inside the Shalomoji app and/or within the keyboard. I also wanted to make sure users could send Shalomojis within our app, keyboard, and through the iMessage App drawer (which had recently launched during the time I started working on building Shalomoji). I worked with several designers and a couple coders until I finally found a design/coding team that totally understood my vision and was eager and excited to create quality work in a timely fashion. Which is your favorite emoji, sticker, or GIF in the app? I would have to say the Shabbat Shalom GIF has a special place in my heart because it was the very first GIF that popped into my head, which ultimately inspired me to create Shalomoji. I do really love the Rabbi Shlomo Hava Nagila GIF as well. I giggle every time I see Rabbi Shlomo busting out those dance moves. HA! Definitely would have to say the Rabbi Shlomo OY Vey animated emoji. Find myself constantly sending that one to my twin sister! Judaism has a rich history of language in Hebrew, Aramaic, Ladino, Yiddish, among lesser known dialects. Each of these has taken influence from surrounding languages (such as Ladino deriving from Spanish), and likewise they have shared their own influence (such as the number of Yiddish words now in the English lexicon). How do you think Jewish emojis can play a role in this history? I remember reading this Forbes article in my research stage that stated that “over 6 billion emojis and stickers are sent a day.” Blew me away when I read that. So, I think it’s pretty clear that people are obsessed with visually driven communication. With that being said, I hope that as I’ve mentioned earlier Shalomoji will serve as a fun, humorous and artistically flavorful way to keep the Jewish culture and spirit alive. As we all know, texting is a dominant form of communication in the digital world. I believe that Shalomoji will additionally serve as a practical and useful way for both the Jewish community and friends of the Jewish community to send holiday greetings. 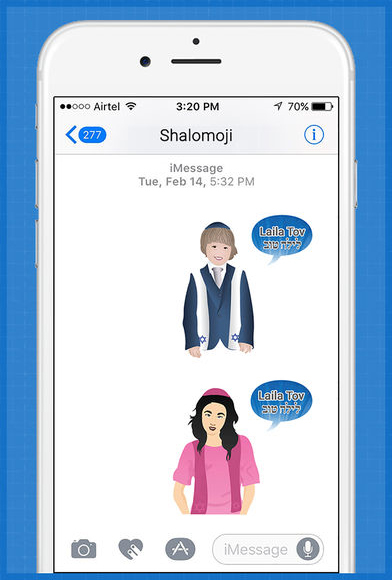 I also think that Shalomoji will play a role in enabling the Jewish community to fully reflect, share, and fully embrace the Jewish lifestyle via text messages sent to family and friends. What other kind of content can we expect to see on the Shalomoji website? The Shalomoji blog right now consists of a “Say Shalom To” column where I interview Jewish influencers around the world to help inspire and support newbie entrepreneurs, creatives, bloggers, and thought leaders. In the future, I plan to add a Jewish Food and Health column that will feature Ashkenazi and Sephardic dishes with a healthy spin. So if you were in charge of pitching The Shalomoji Movie, what would it be about? Rabbi Shlomo would definitely be the star of the movie that I can say with 100% certainty. I am a romantic comedy aficionado, so I’d have Rabbi Shlomo enlist the help of a Shadkhan on his quest to finding true love. 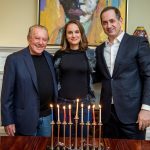 His matchmaker would be the animated version of Three Matches Founder Margaux Chetrit-Cassuto (she was actually our very first “Say Shalom To” feature interview). 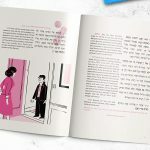 Throughout Rabbi Shlomo’s journey, we will see his role as the lead Rabbi of a Reform Jewish synagogue, meet his big Jewish family, and watch him celebrate the High Holidays with his potential love matches.